For nearly 50 years TRI Components has been operating from our base in Melbourne and we are proudly 100% Australian owned and operated. We only supply the best electronic components for Australia and New Zealand customers from the best suppliers. Our depth of experience and expertise in the RF, POWER and EMI fields ensure that we can help to solve any requirement and provide the very best solutions quickly. Our team are dedicated to providing good old-fashioned service with a smile that ensures that all of our customers repeatedly and confidently return time and again to us. We are a supplier that keeps FREE samples on site in our Melbourne warehouse for immediate issue. Other suppliers in Australia/NZ do not offer free samples at all let alone so quickly. We beat online pricing and account holders will be invoiced, therefore there’s no need to pay upfront when ordering. COD is also available on request. Purchasing through the official Australian representative eliminates the additional costs of duties and expensive overseas freights. Our Engineers have over 50+ years of experience, offering supportive expert advice. We have knowledgeable and friendly staff within all aspects of the business that provide fast and reliable support. It’s time to TRI us! MY Experience with TRI Components! I have been with TRI Components for nearly 19 years and over my time here, the electronics industry has evolved tremendously. Gone are faxes for communication between suppliers and customers with now all communication processed instantly via emails. I am extremely proud that we can process orders and customer requests within hours not days as it was in the past when I first started. Unfortunately, most of the production has now moved offshore from Australia with lower costs for manufacturing process, but there still is a valued electronics industry thriving with new designs and concepts appearing. I still find that the ability for us to communicate directly with the engineer or designer at the very start of the project works very well. TGS Electronics is a manufacturer of medical and veterinary electronic therapy devices and has been locally designing and manufacturing its electronic equipment since 1980. We were committed to using locally manufactured components wherever possible to support our local electronic component manufacturers and suppliers. During 2015 we found it necessary to redevelop our Ultrasonic Therapy unit due to issues with sourcing the locally produced and supplied components that were no longer available. 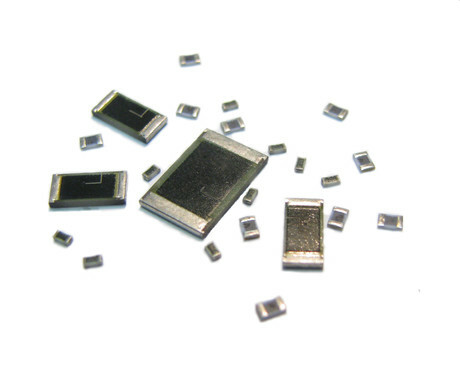 Due to the fact that the design incorporates both variable and fixed inductors we started to request samples for the initial prototyping from various suppliers to incorporate in our product. The response from the suppliers we contacted for free samples and quick product lead time was mixed, from no supply of samples and very poor lead times to the immediate supply of 10 pieces of each sample and a lead time of under a week if we so required. Our number one pick was Tri Components P/L, who issued the 10 samples of our required 3 inductors virtually overnight and backed this up with engineering and technical support to the completion of our end design. When this product initially went into production, we found TRI Components to be very competitive with pricing on the low-volume initial run and then the high-volume production quantity. Over the subsequent years product performance, on-time delivery, technical support and price have been excellent and would compel us to continue to purchase their Coilcraft Inductors into the future.